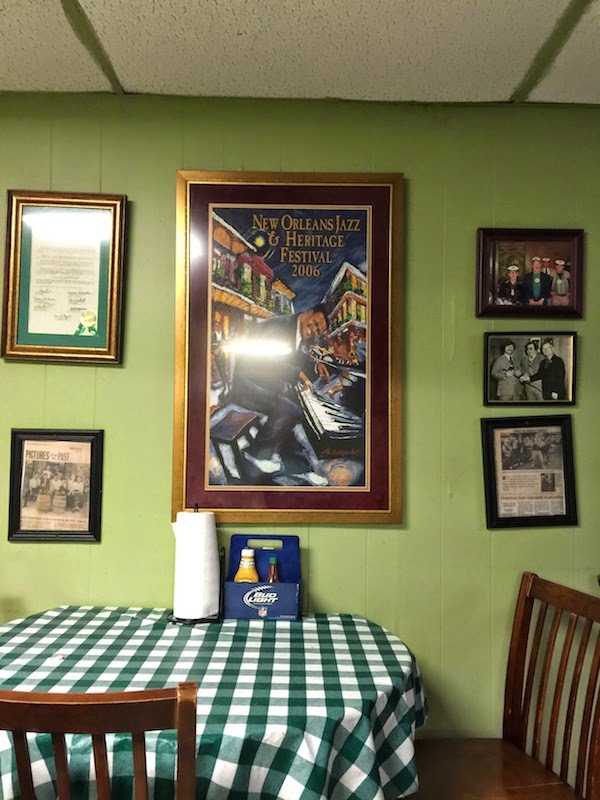 We landed in New Orleans tonight and after settling into the condo we walked right over to Parasol's Bar and Restaurant, located in the Garden District of The Big Easy. As seen on the Places You Sent Me episode of Diners, Drive-Ins, and Dives on the Food Network. Parasol's is a neighborhood bar surrounded by some pretty amazing homes and mansions. Downstairs is a long bar and the food is upstairs. The bar seems like one you would see on a "Best Bars in America" list such as this list of New Orleans bars from Punch. Walk upstairs and place your order, and enjoy the TV while you wait. The staff is super friendly and the sandwiches don't take long (even the fried fish). Everything is made to order. One of Parasol's signature po boys is the roast beef. It's really tender, with a thick, flavorful gravy. 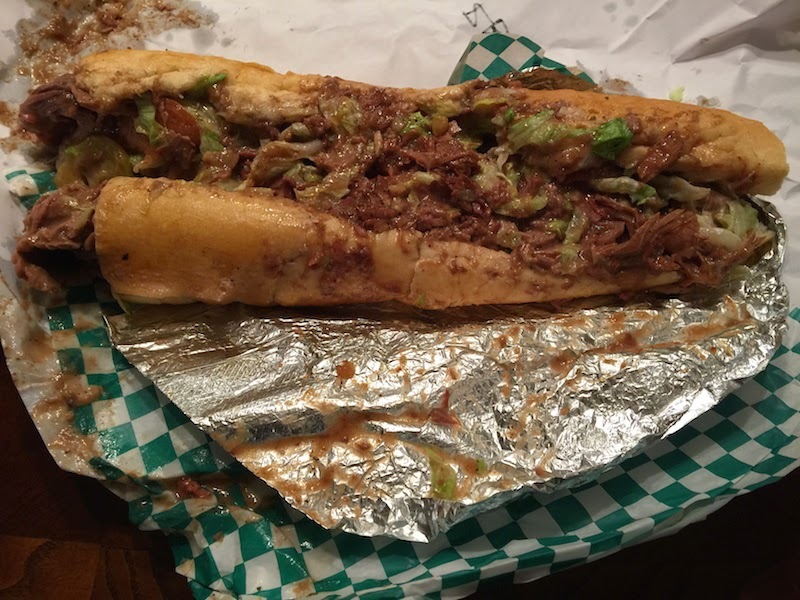 And Parasol's doesn't scrimp you either -- our roast beef po boy must have weighed at least a pound. 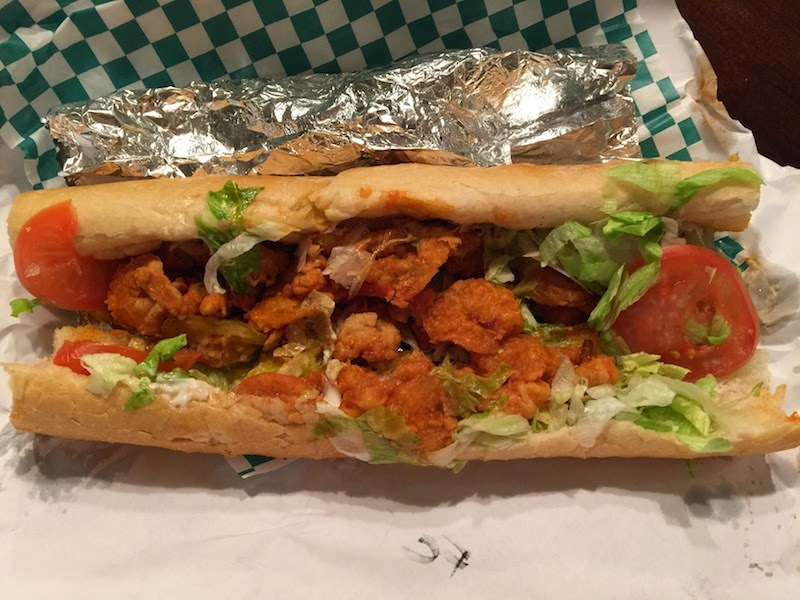 Another signature sandwich is the firecracker shrimp po boy. The shrimp are spicy but not overly hot, and have a great flavor to them. You can see from the photo that Parasol's is pretty generous with the shrimp, too. 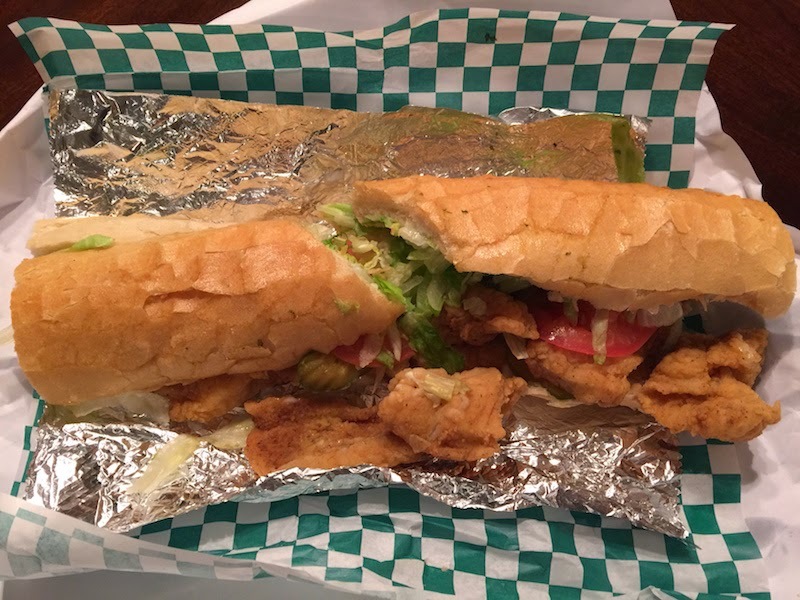 To make sure we were getting a variety of tastes, we also got the friend catfish po boy. I am fairly picky about fried catfish since my wife is such a good cook, and a lot of places cook it greasy or slimy or just not as good as I get at home. But we all agreed that the friend catfish at Parasol's was perfectly friend, wasn't greasy, and was delicious. The po boys come in regular and large. 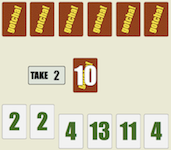 The large (especially the roast beef) is a very good deal (most are about ten bucks) and will fill even a big appetite (again, especially the roast beef). 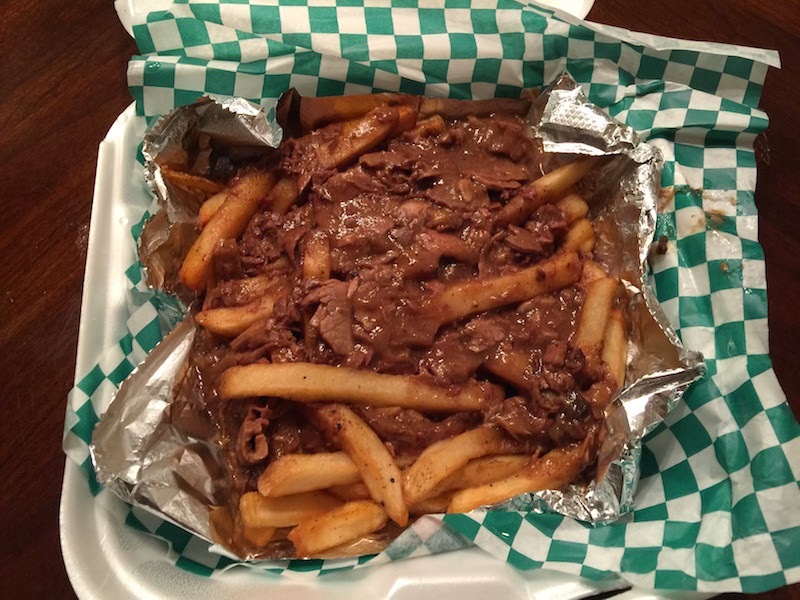 The fries with gravy also come regular and large. We got the regular and you would think it was the large by the amount of gravy we got on it. Remember, when Parasol's says "gravy" they mean "thick slices of roast beef in heavy gravy." These were incredible. The t-shirts are pretty spiffy and not too bad of a deal at fifteen bucks.